Media attention is currently being drawn to the demise of many of our natural wildlife species, but as usual, pesticides and farmers are being blamed. It may be time to question how we are all behaving to see what impact we may be having. Urban-dwellers who have little contact with wild animals do whatever they can to encourage them, but feeding badgers and foxes leads them into environments they would normally avoid. When there is no food, the animals will turn to whatever they can find, which can include hedgehogs (a badger’s preferred food anyway), young birds and scavenging. Dropping food in the street or leaving bin bags outside where they can be ripped open encourages this. Feeding the birds over winter is valuable, but means that every bird survives instead of the weak being killed off. When weaker birds breed together, there can be inherent problems with their future health. Larger birds find easy pickings in these weak youngsters so magpies and crows move in, driving even healthy small birds away. The rise of “generation rent” means people are gardening less, as does the need to park your car on the front garden. Containers offer little in the way of living environment for earthworms and other organisms that are essential to a healthy soil. Dead soil is no use to anything. As gardeners, we need to mobilise! You can plant whatever you like as long as you follow a few basic rules, like checking the acidity of the soil and assessing the level of sun or shade. A mixed planting of trees, shrubs, conifers, herbaceous perennials, bulbs and annuals gives enough scope for wildlife to live in your garden. 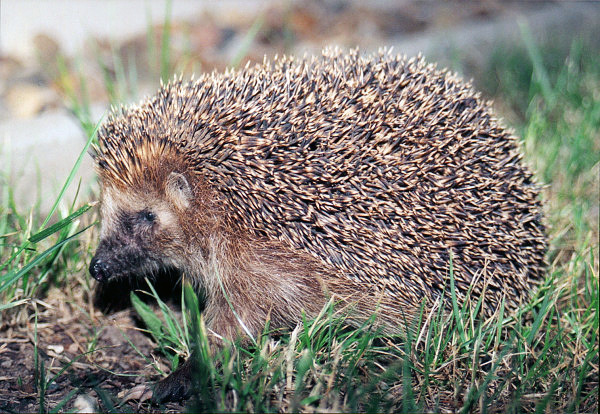 A wildlife area is nice if you have space, but hedgehogs will live just as happily underneath a low-growing conifer as long as they have shelter and are undisturbed. We need to learn how to garden like our grandparents again if we are going to restore the balance. Proper tasks, done well and at the right time, including returning prunings and raw vegetable waste back into the garden to nourish the soil, are essential.